Airstream is recalling certain model year 2006-2009 Airstream Classic recreational vehicles manufactured between May 2005 and April 2009. The brake hose may flex near the fitting on the brake assembly and lead to hose fatigue. Also, during suspension travel, the brake hose may rub on the underside of the trailer. As a result of flexing or rubbing, the brake hose may fail causing a loss of brake pressure, reducing braking performance. The loss of braking ability could result in a loss of vehicle control, increasing the risk of a crash. Got a lemon Airstream Classic motorcoach? 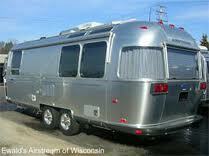 Want a new Airstream Classic recreational vehicle or your money back?